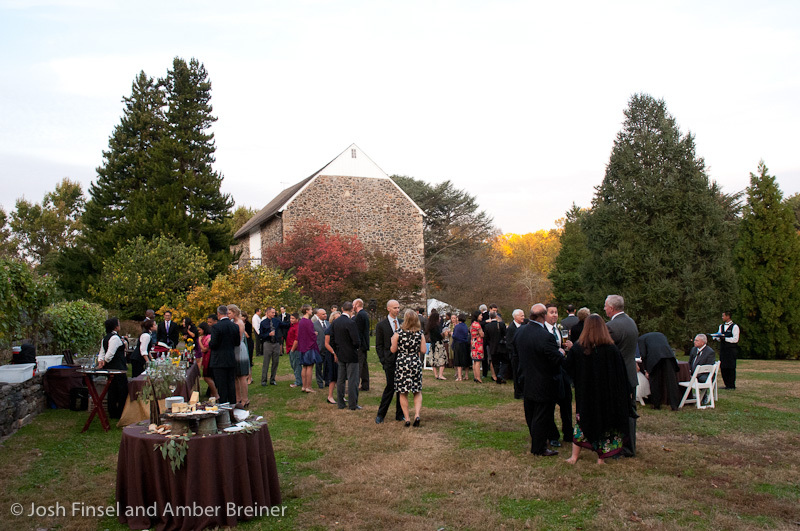 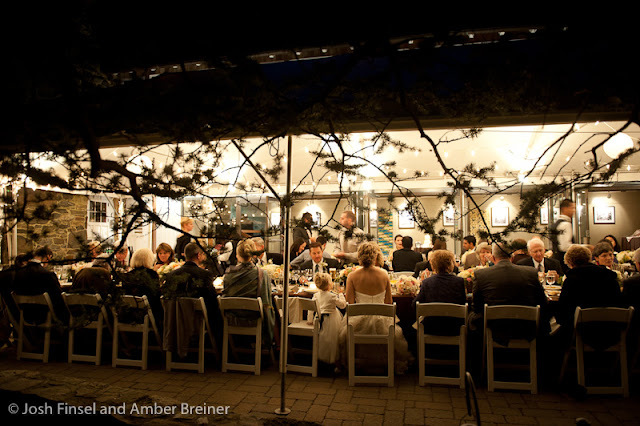 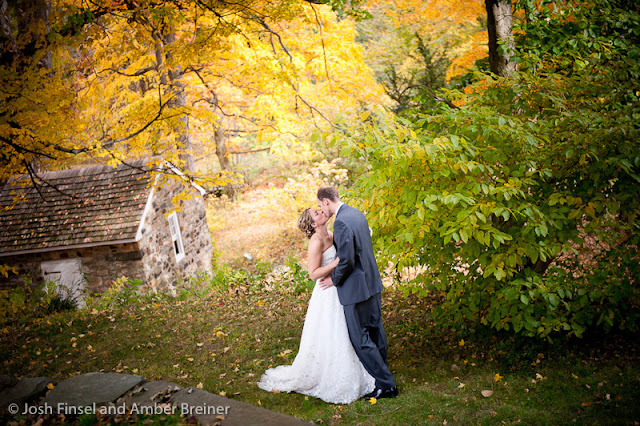 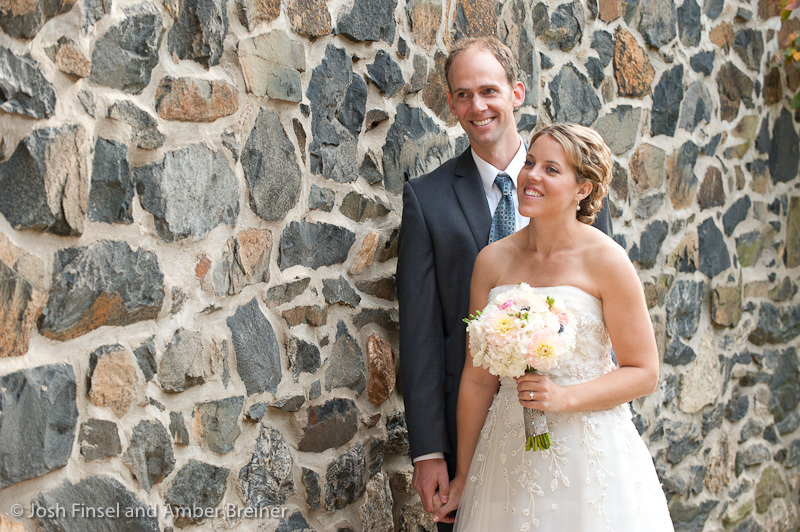 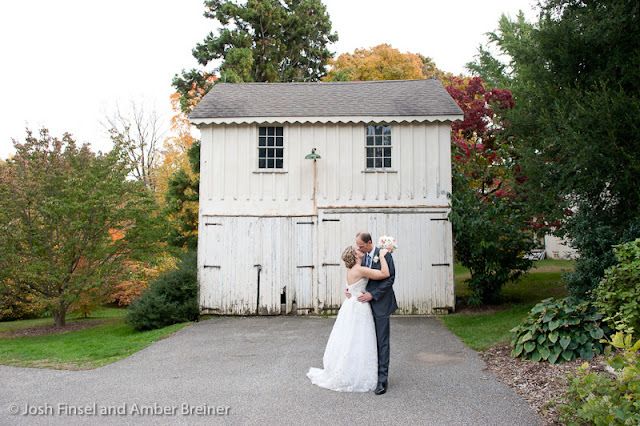 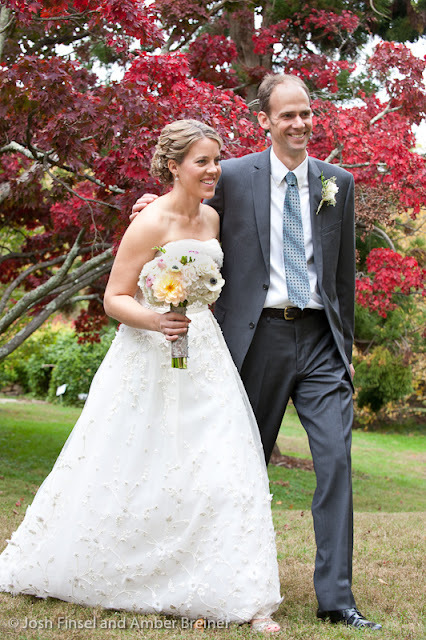 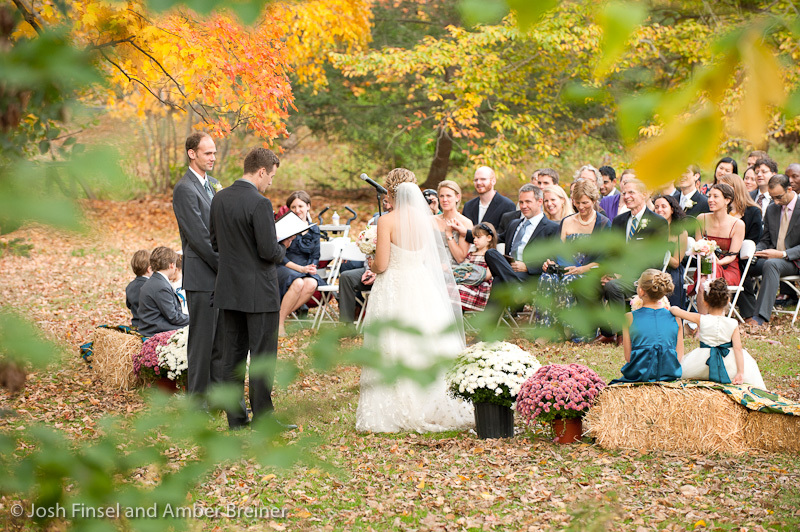 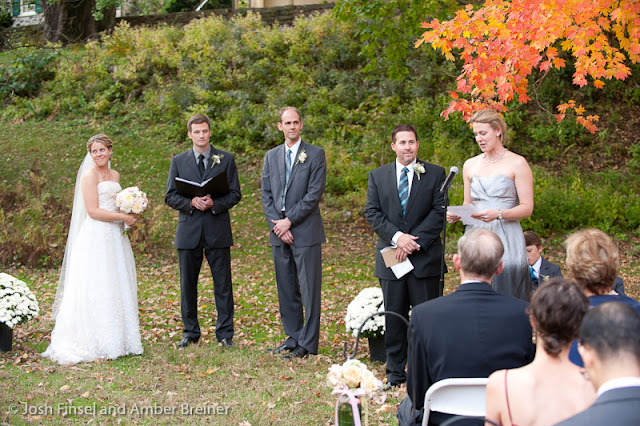 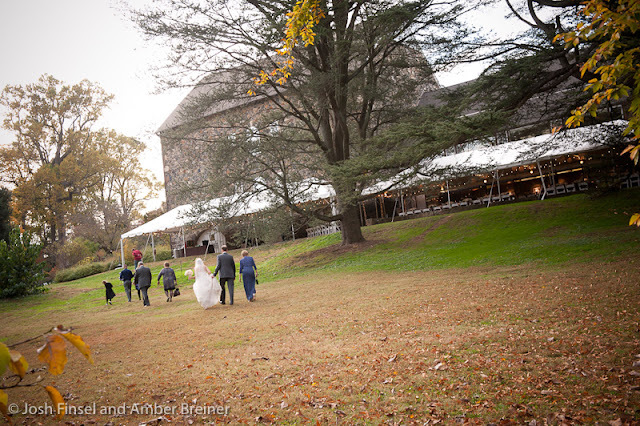 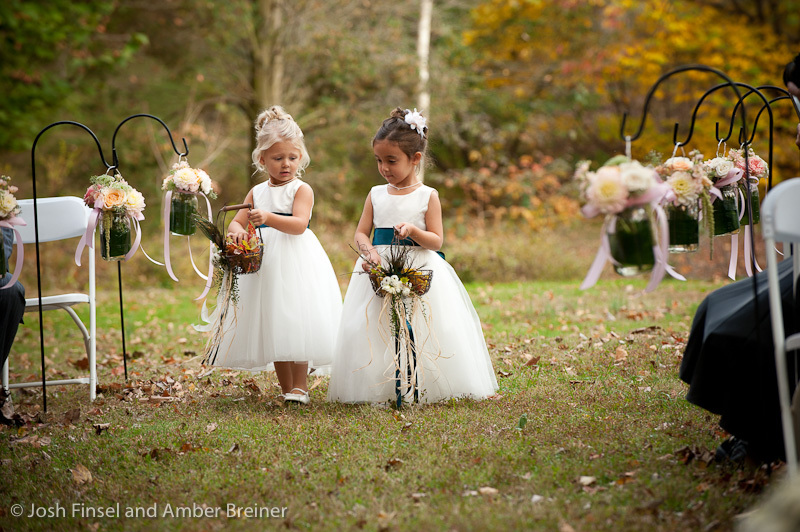 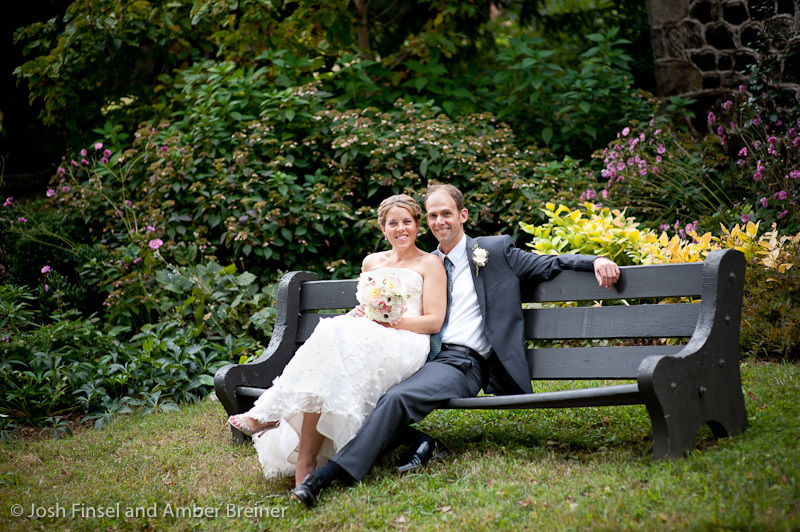 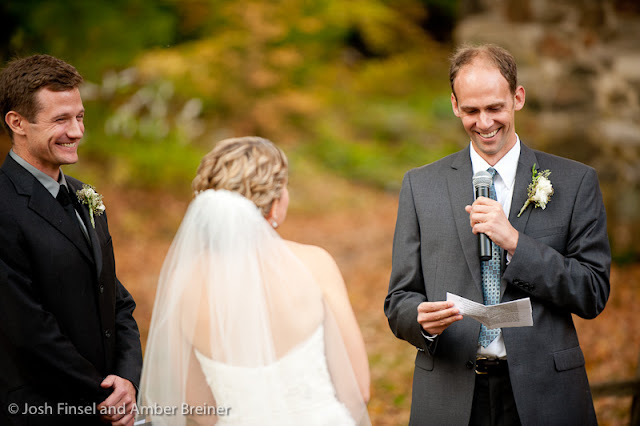 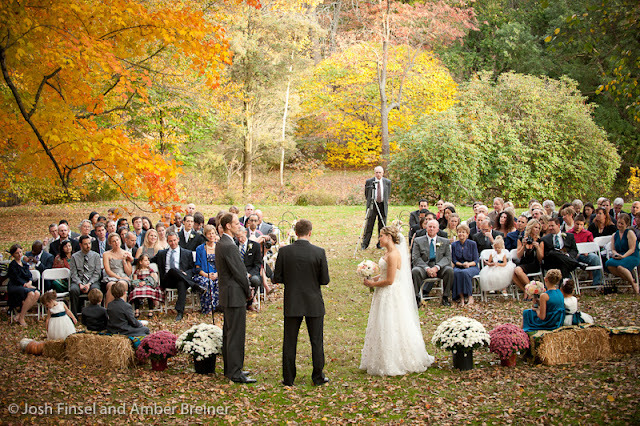 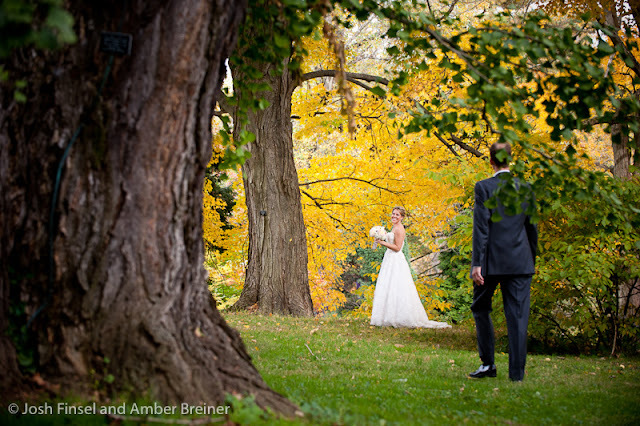 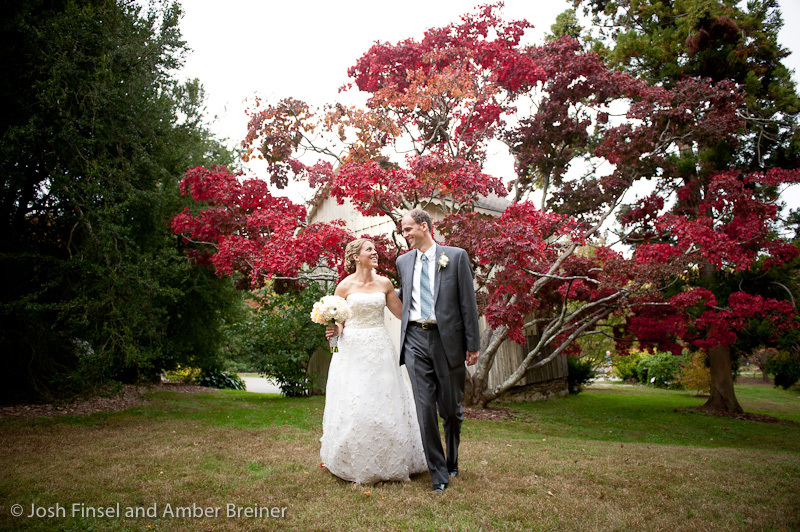 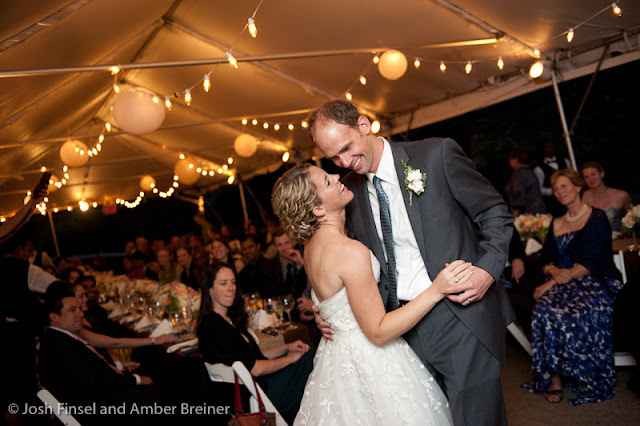 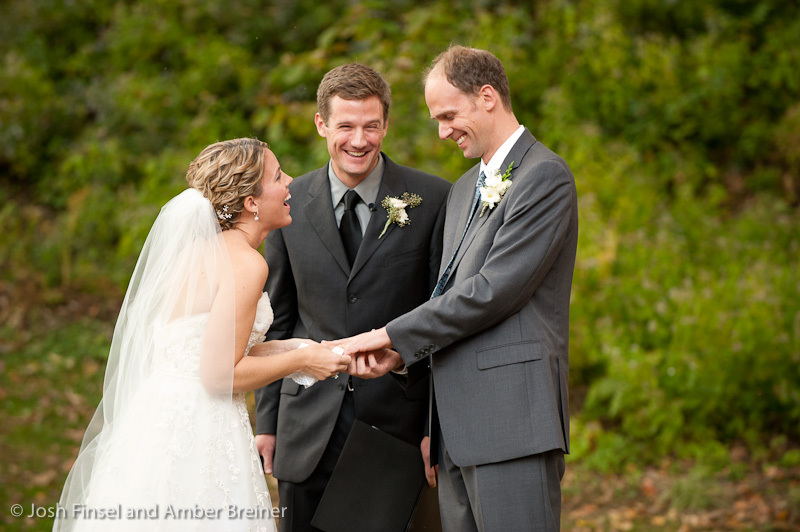 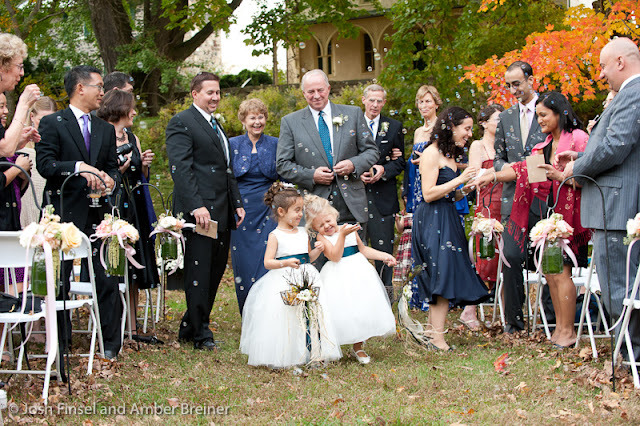 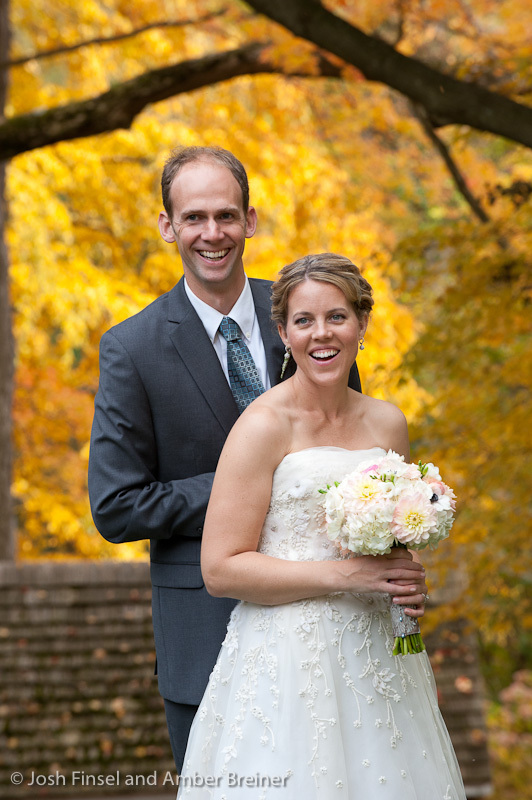 Megan and Nick had a beautiful outdoor wedding at the peak of fall foliage. 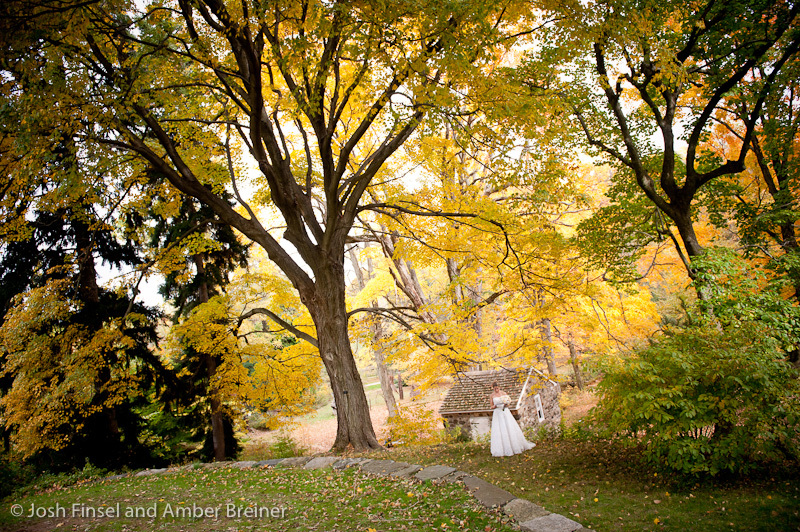 The vibrant color, combined with the landscape and historic structures of Tyler Arboretum provided scenery that was a photographer's dream. What a great place! 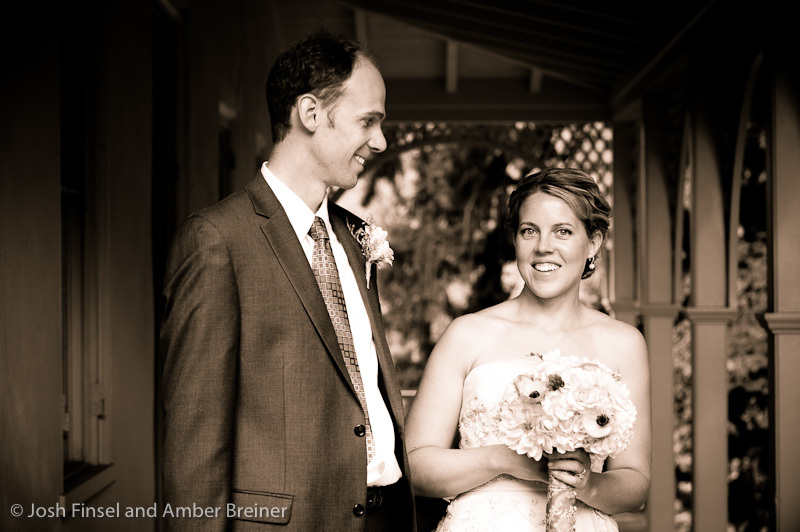 Megan and Nick assembled a super team of professionals to pull together their vision for the day. 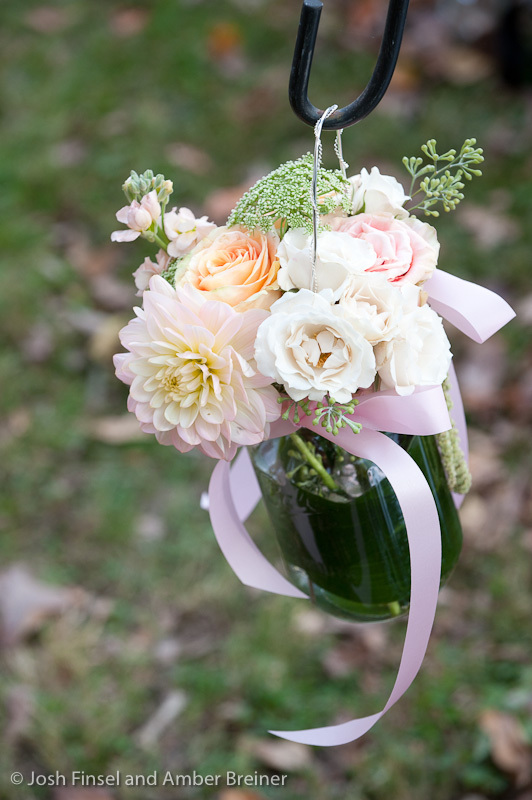 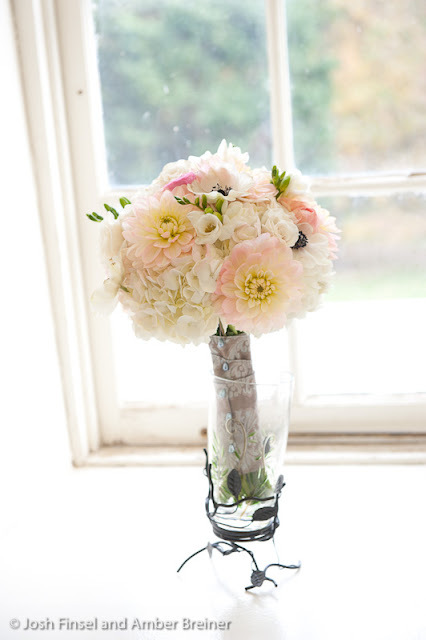 Philadelphia floral designer Margaux St. 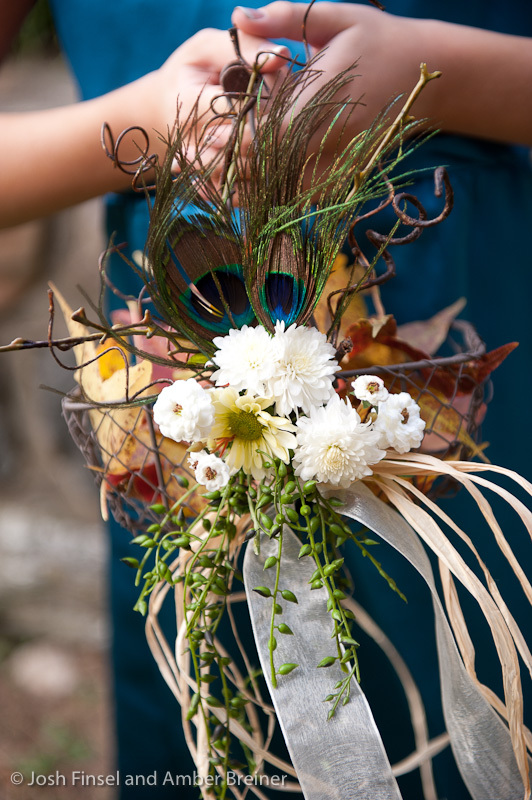 Ledger of Fleur De Lis styled up some fabulous bouquets and centerpieces. I loved the peacock feather adorned flower girl baskets that held leaves rather than flower petals to spread in the aisle before the processional. 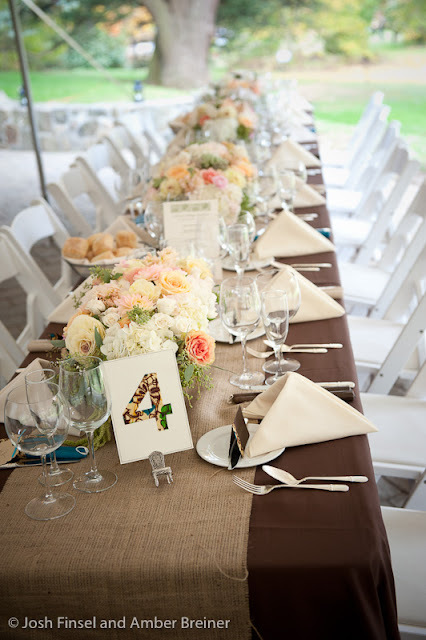 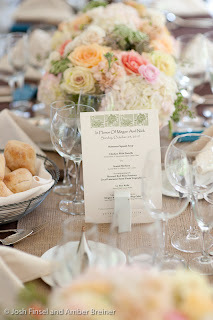 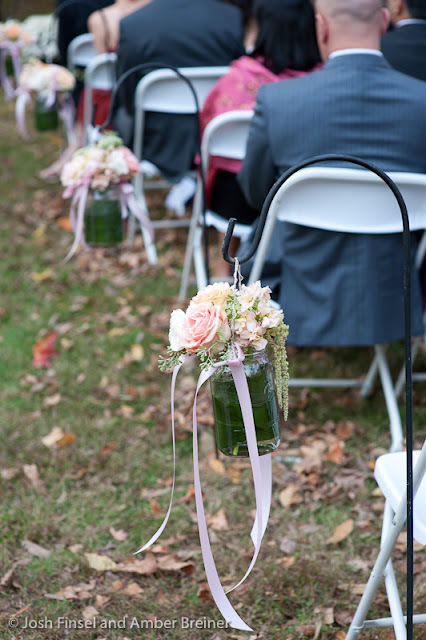 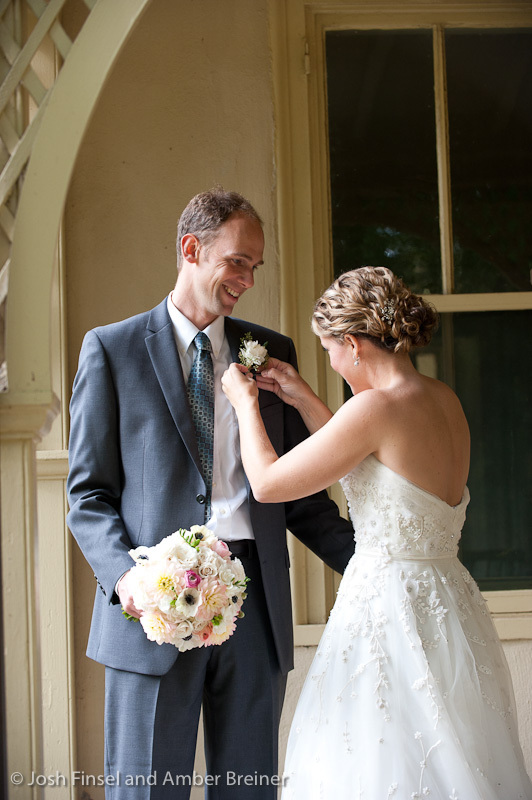 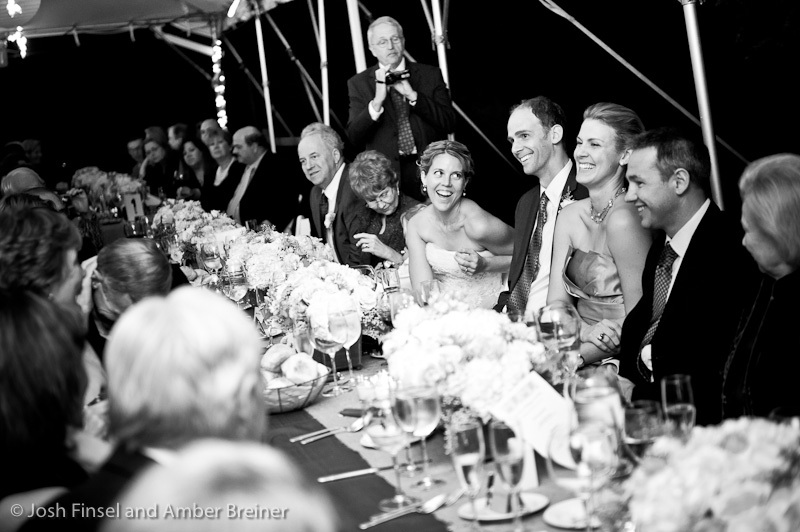 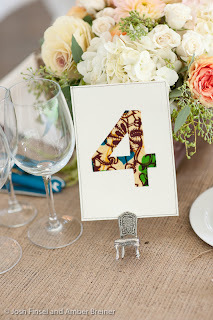 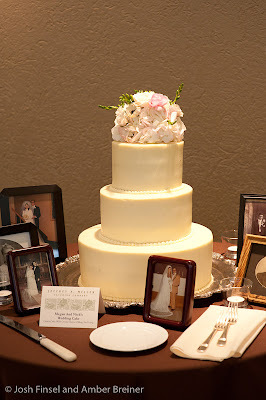 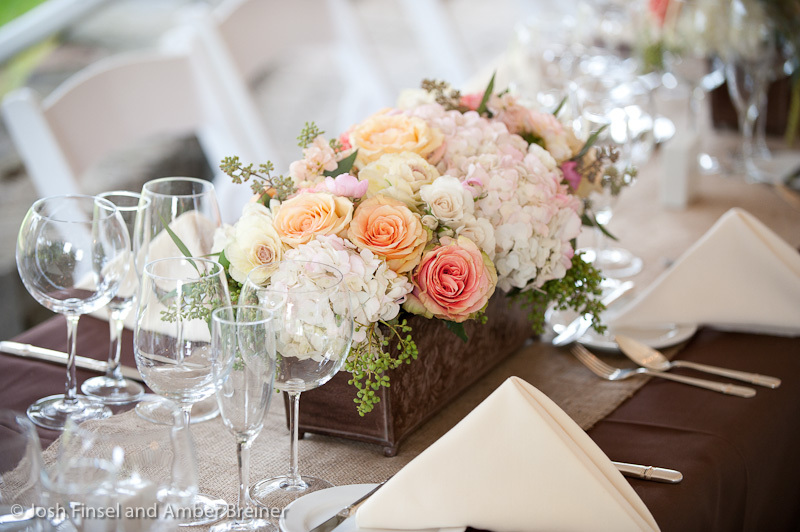 This wedding was elegant with a rustic feel. 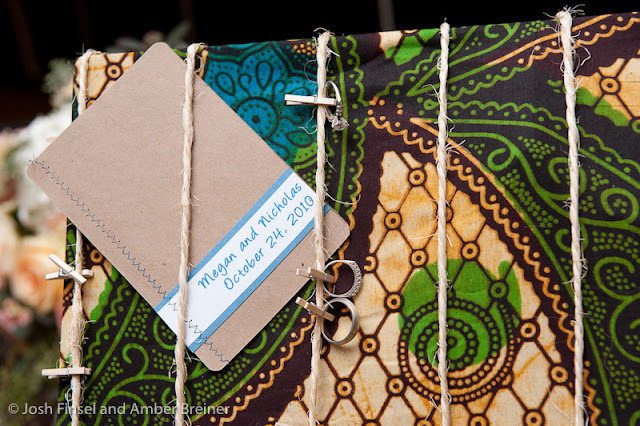 Megan hand crafted many of the details, often utilizing vibrant African fabric that paid homage to Kenya where the couple met on a blind date. 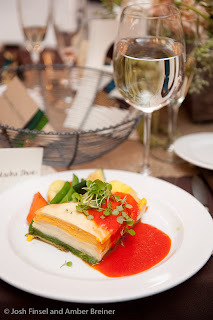 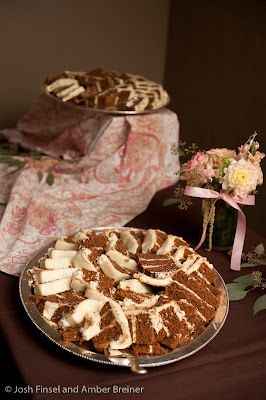 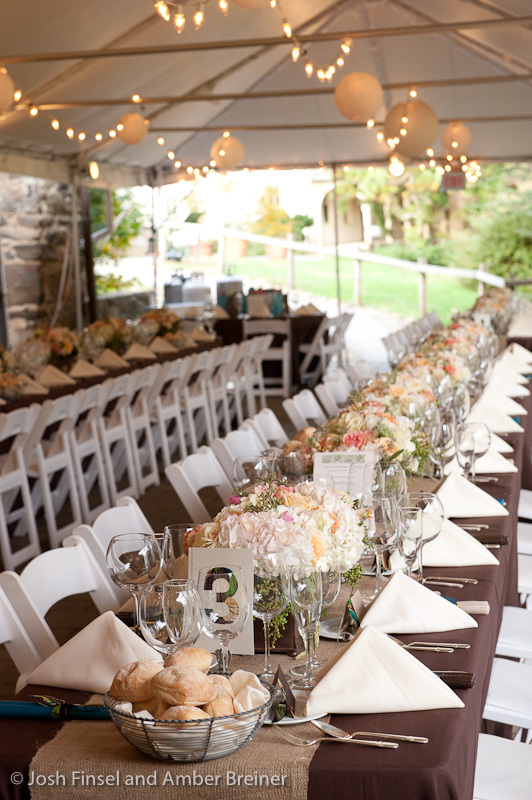 Philadelphia area caterer Jeffery Miller delighted guests with food that was a feast for the eyes as well as the mouth. 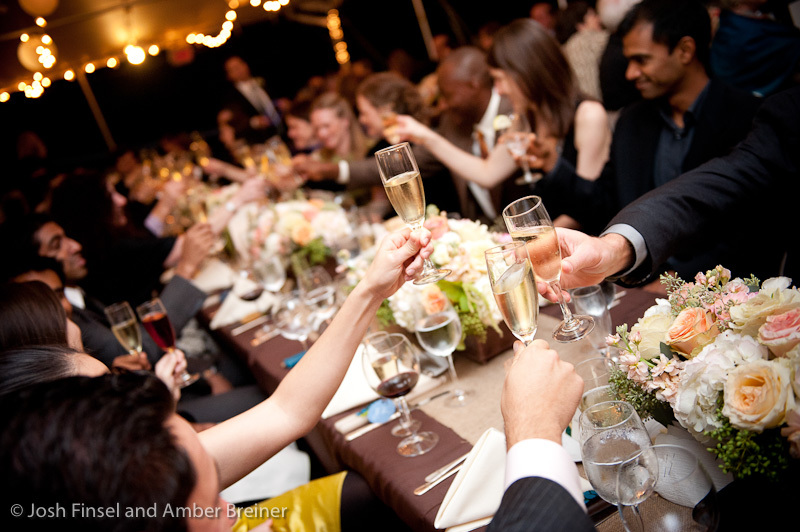 Hors devours and dinner were a hit. They made a carrot cake to rival mom's. So delicious! 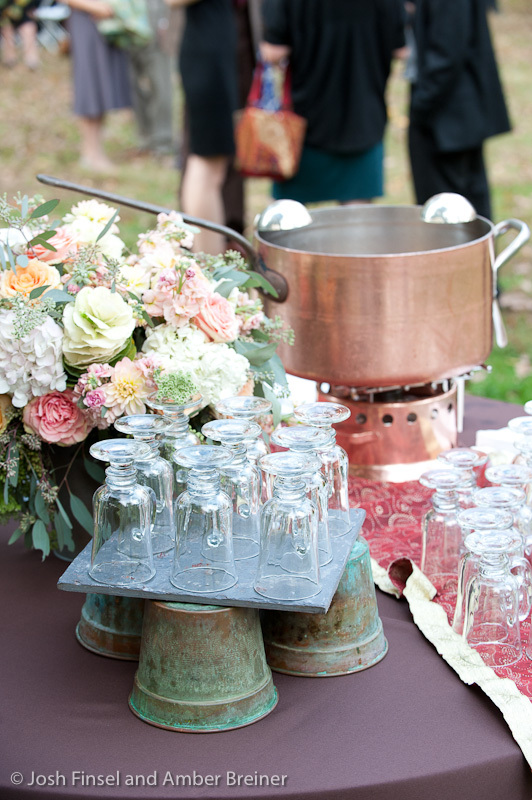 And the copper kettle of apple cider awaiting guests as they arrived for the ceremony was a nice touch. This was also a special wedding for us since we had the opportunity to photograph Nick's sister's wedding earlier in 2010. 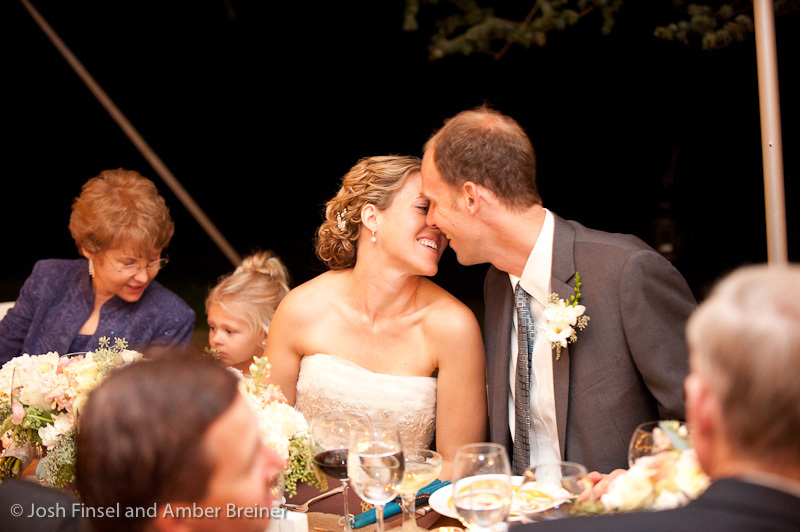 We were honored to share in two such important days in the lives of this family. Thanks Megan and Nick for inviting us to be part of your day! 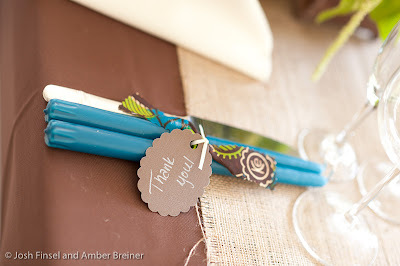 Credits: Floral design by Fleur De Lis Floral. 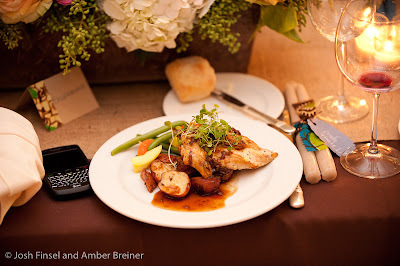 Catering by Jeffery Miller Catering. DJ- Craig Knockton. Bride's gown by Rivini. 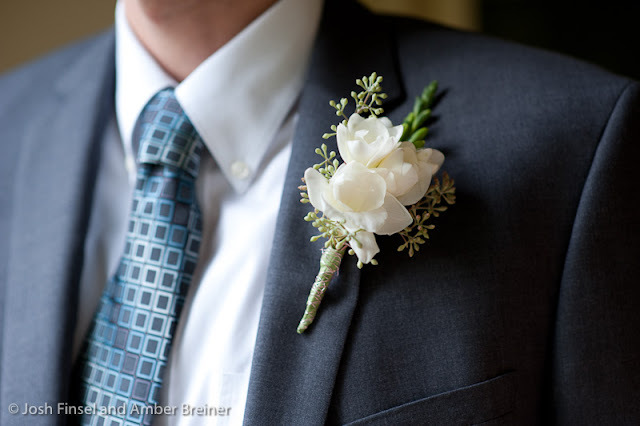 Groom's suit by Calvin Klein. 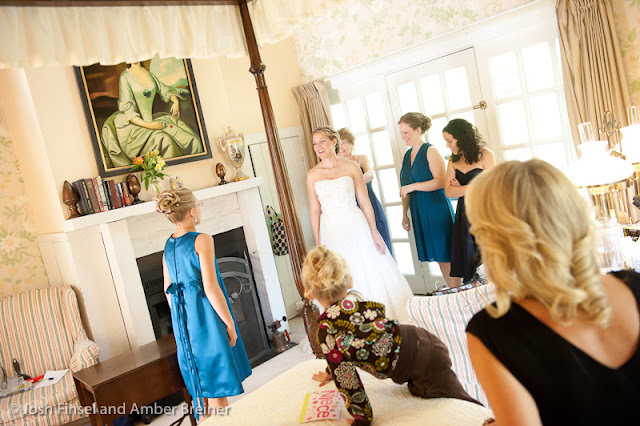 Bridal prep at the Fairville Inn.